Re: Uebergame Show Off Thread! Real first person mode in action. The new graphics options menu. 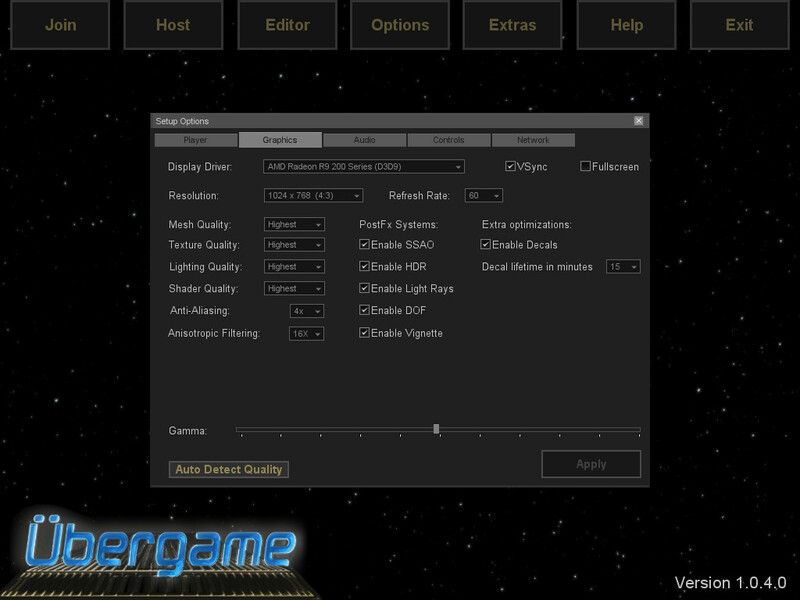 It has a new quality level called "highest", it increases the graphics a bit more, for those with good graphics cards. There are working postFX settings now, where you can turn on and off individual postFX systems. The decals lifetime selector is a new feature, you can chose how long the decals stay inside the game.